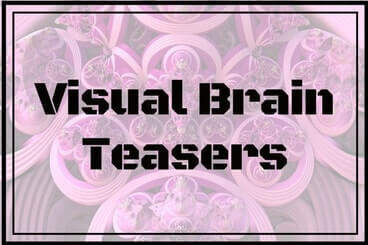 Visual Brain Teasers test your observation skills. In most of the visual brain teasers no knowledge of language or mathematics is required. Only thing is required to solve these visual brain teasers is good mental ability and attention. There are many Visual Brain Teasers on this website. Here I am listing all the pages which contains these kind of puzzles in the chronological order. Stroop Effect-Can you pass this color test? Pattern-Find the next image in the sequence? Can You Guess the Place By a Picture of It? Missing Vowels Game-Can You Guess the Colors?